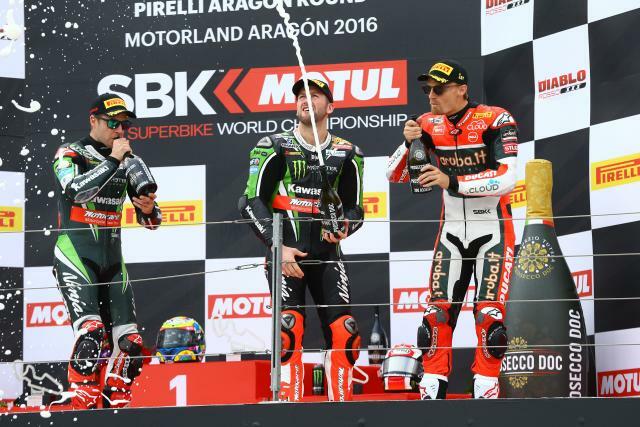 THE THIRD round of the 2016 World Superbike Championship has seen Welshman Chaz Davies creep up the standings, but not enough to knock the reining World Champion off the top spot. Jonathan Rea still stands at the top of the standings for the Kawasaki team whilst Davies is 26-points adrift and Tom Sykes a further 3-points behind. Michael van der Mark is currently in fourth with Sylvain Guintoli and Jordi Torres both with 53-points in sixth and seventh respectively. British riders Alex Lowes and Leon Camier are 12th and 16th respectively with the currently British Superbike Champion Australian Josh Brookes down in 15th. The next round takes place at Assen in two weeks' time.